Spring 2019 Announcements - Franzén and Salzano, P.C. Whew! It’s rough out there! 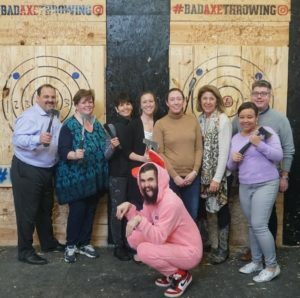 Our team cut the stress with a fun-filled afternoon of competitive ax throwing. ‹ Fall 2018-Winter 2019 Hot Topics – Are You Tired Keeping Up with the Onslaught of Regulatory Changes?